Abandoned R E D info about the game-Games2Rule. Abandoned R.E.D is a another type of point and click new escape game developed by games2rule.com. This is a critical game where you are trapped in a dangerous abandoned house, In that house, once a ghosts was live. Ghosts are very dangerous they won�t allow escaping anybody from the place to escape from the abandoned house. Do you think is it possible to escape? If you have the right attitude then you can do it. 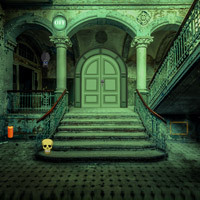 Let�s show your courage and escape from this Haunted abandoned house by collecting spooky object, use clues and solve all the dangerous puzzles. Good luck and have a spooky fun!